We live in constant search for patterns. Being able to recognize patterns is a survival instinct. If confronted with a lack of stimulus – lack of patterns – our brain invents a new reality – hallucinations, dreams. Staring at a featureless field of vision can lead to hallucinations as the brain amplifies the neural noise in order to look for the missing visual signals. It is very similar to dreaming during sleep as the brain lacks visual input in both states. 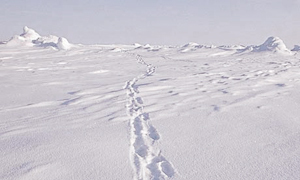 Arctic explorers were among the first to experience the Ganzfeld effect. Continuously staring into the white snow landscape induces some sort of snowblindness, that also leads to hallucinations. The effect is also frequently observed in people confined to dark spaces – miners trapped by accidents, prisoners in dark cells (Prisoner’s Cinema). 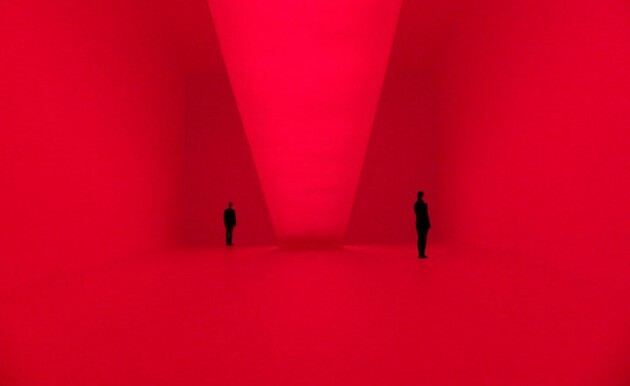 Turrell has a degree in perceptual psychology. He applies knowledge about the human perception when creating his art works, that mostly deal with light cast upon space. 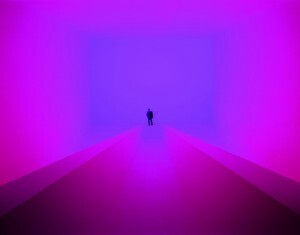 His series of installations named ‘Ganzfeld’ (1976-) invites visitors to step into large-scale walking environments that are illuminated in one color – a vacuum of visual stimuli. The senses are heightened and an exploration of one’s sight and perception unfolds. Turrell’s works touch upon the sublime, by directing us towards the sky and making us reflect upon the nature of perception and reality. His relationship to the sky is inspired by by decades of experience as a pilot. His project Roden Crater let’s you observe the heavens from inside a volcano. The brain is a pattern-searching and pattern-making machine. If we are confronted with random stimuli, the brain often recognizes patterns that are not there. Apophenia is “the spontaneous finding of connections or meaning in things which are random, unconnected or meaningless”. Pareidolia is the psychological phenomenon of finding of images or sounds in random stimuli. We see images of animals in the clouds and recognize faces on inanimate objects. The Electronic Voice Phenomenon lets us recognize voices in radio static or audio recordings. 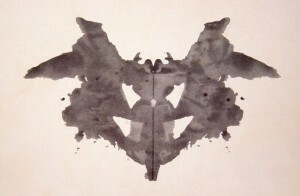 Pareidolia is used at the Rorschach inkblot tests to explore the feelings and thoughts people project into the blobs that are deliberately designed not to resemble anything. Without enough external stimuli, the focus of vision often amplifies effects that are inherent in the body. Entoptic images are perceptual effects that have their cause in the physical eye itself. Floaters are those slowly-drifting transparent blobs of various shapes that usually appear when looking at bright monochromatic views. They are actually shadows of objects – like swollen blood cells – onto the retina. Blue Field Entoptic Phenomenon describes those tiny bright dots moving on the visual along squiggly path lines. They appear due to white blood cells in the capillaries on top of the retina. The wavelength of blue is absorbed well by red blood cells, but white blood cells don’t and therefore leave gaps that leads to the white dots. Purkinje Tree is the shadow of the retinal blood vessels you make visible by placing a bright light at the corner of your eye. Then the shadow casts upon areas of the retina that didn’t adapt to naturally subtract the shadow. Purkinje’s Blue Arc are faint blue arcs that appear between a bright spot in the darkness and the blind spot. It it linked to the nervous activity of sending signals from the stimulus spot to the optic disc. Phosphene are light patterns that appear without the occurrence of light and can be induced by mechanical, electrical, or magnetic stimulation of the retina, e.g. through pressure applied to the eyelids. Natural Ganzfeld – the sky.  Staring into the sky – and especially the color blue – evokes entoptic effects. 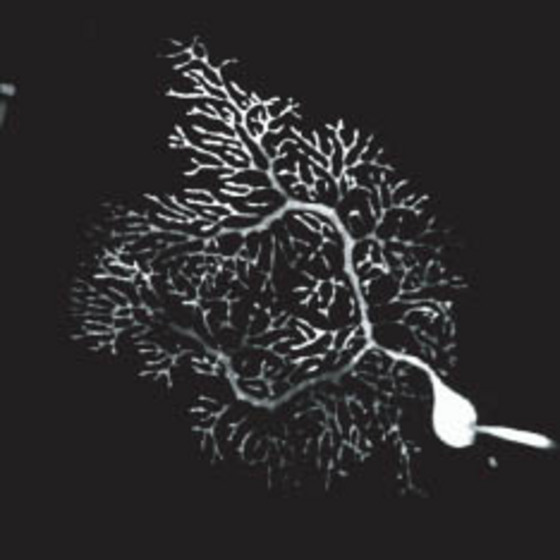 Purkinje Tree – Blood vessels become visible in the eye when shining a bright light from the corner into your eye. Posted in meta, Research and tagged 2010, Entoptic phenomenon, Ganzfeld effect, James Turrell, noise, Pareidolia, perception, Rorschach, vision.